"I put in a service request to replace two light bulbs at our house. I put in this request at 6:30 in the morning. By the time I woke up at 3pm, maintenance had already taken care of the problem. We appreciate the quick service, and having a well-lit apartment again. Thank you!" "The new stove works great thus far. Thank you so much for replacing the old one!" "I want to thank Charlotte for acting so quickly to get our air conditioning fixed!!! We had a miserably, hot weekend without it & as soon as Charlotte got our maintenance request she got the wheels turning...even had maintenance out Sunday evening to identify the problem. Thank you...I was pleasantly surprised to come home to a cool apartment!" Just Moved In, great experience so far! "I've just acquired my keys to the apartment I'm leading, and so far everything has been excellent! When I read the negative reviews, I can't help but think maybe it was the negative attitude of the tenants that reflected on their experience? I'm not sure. So far, everything seems great!" "Thanks to Darin for fixing my screen door! He was super quick, professional, and friendly! " Thanks to Jacob, the maintenance guy! "I just wanted to extend a huge thank you to Jacob for repairing the door to building 2046 even though he was not technically on-call. Jacob took time out of his Saturday night to ensure that the residents felt safe and comfortable after the door had been left unlocked for two days. " Park Place Apartments located in Ann Arbor, Michigan are in an amazing location, close to shopping and dining. These spacious one- and two-bedroom apartments are a short distance from The University of Michigan Stadium and campuses. Our pet friendly community features a hooded bus stop with access to the 27, 28 & 32 AAATA lines, all of which will take you right downtown, sparkling swimming pool, 24-hour fitness center and covered bike parking! 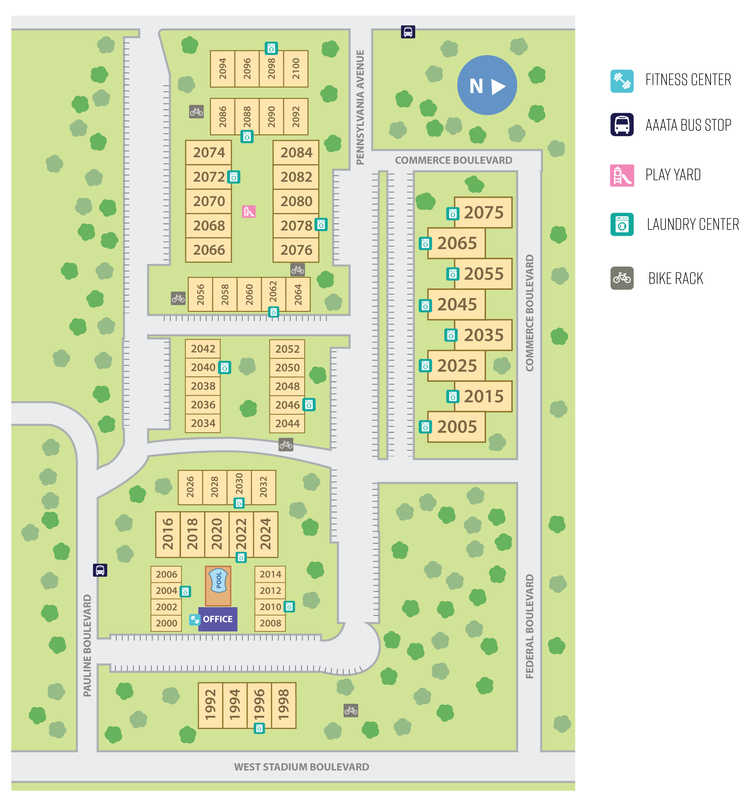 Each of our floor plans offer intercom entry, galley style kitchens, patio or balcony, free open parking and extra closet space.